Colorado Springs resident and local businesswoman Linda Nations divulges her journey of recovery from a severe brain injury and how animals taught her the most valuable lesson of living joyfully in the moment. MONTROSE, Colo., March 28, 2018	(Newswire.com) - Within seven years after suffering a TBI (traumatic brain injury), Linda Nija Nations learned to be in the world again leaning on the care and concern of her beloved pets, along with her encounters with wild animals. Many years a skillful psychotherapist with a thriving practice, Linda Nations in April 1997 fell from her horse and suffered a violent hit to her head requiring a craniotomy to drain two hematomas. After that she found herself so altered physically and psychologically that she could barely walk; plus, she found it difficult to operate on more than one mindful task at a time. She has published a memoir highlighting seven and a half years of her life, during which time many of her friends and close associates, including her husband, unable to adjust to the new Linda, abandoned her. Though she was radically altered, through time and patience, and with the help of several of her closest friends, she managed to survive. 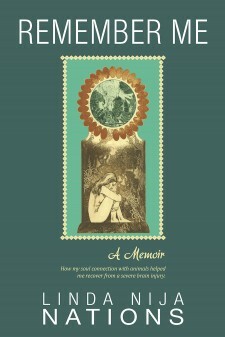 Her memoir tells how her consciousness shifted so acutely that she was able to connect (and communicate) more intimately with her animal companions, including animals in the wild. The first half of her memoir details her immediate recovery in Colorado. Then four years later she makes a move to Arkansas to fashion a new way of being, this time surrounded by people who knew nothing of her injury. This change allowed her the opportunity to explore different ways to thrive, to gain confidence and competence. After three years, having cultivated her new self, she returned to Colorado to once again practice her chosen profession of psychotherapy, an activity she was told she would never again perform. 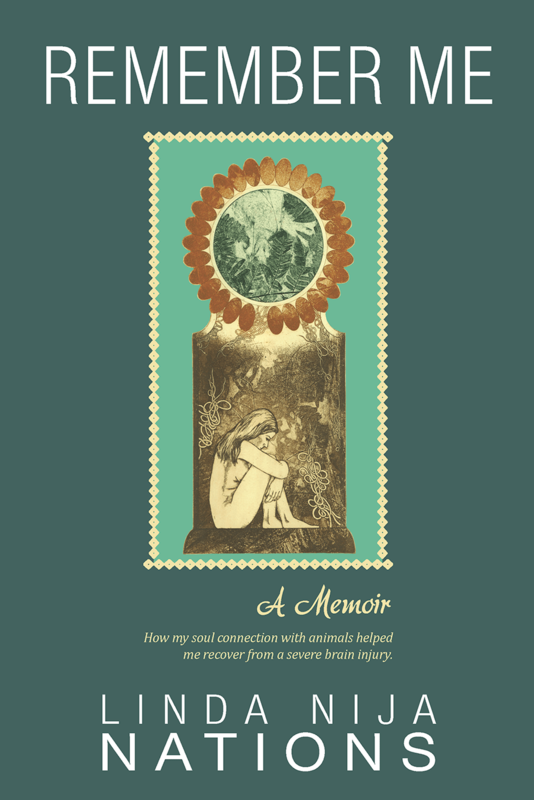 Linda’s goal in writing this memoir is to help those who have experienced a traumatic brain injury and their families. To help those who have PTSD; to encourage those who wish to relate their own life-altering experiences in writing; and to emphasize the importance of animals to all humans by declaring they are sentient beings, capable of a form of rational thinking, whose consciousness is greater than our Westernized thinking has previously allowed. The reader will come away with a new understanding of overcoming adversity, how to thrive, and how to appreciate being in the moment: the place where we as a species should all be to be aligned with our “horizontal brethren,” as John Muir once called the animals. Because of the things learned on this journey, Linda now strives to help others overcome similar adversity. She has a successful animal communication and life-coaching business, where she works tirelessly to help her pet-owner clients understand their animal companions better and to empower her coaching clients as they strive to reach their life goals. Her memoir "Remember Me" is to be officially launched in Colorado Springs, Colorado, on April 28, 2018, at an RSVP-required event from 3 to 7 p.m. Please use the contact information below to RSVP. "Remember Me" book copies are available for purchase now through Amazon by using the following link: https://www.amazon.com/dp/1984944304.